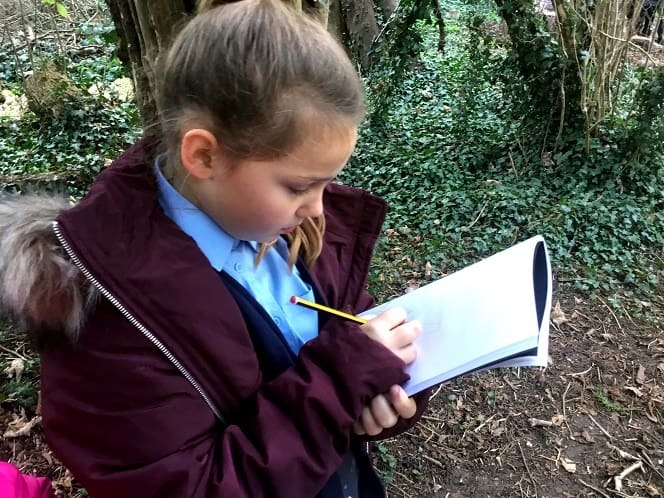 Ellington Park in the town was the ideal location for the Year 4 group to sketch trees and in particular pupils focussed on the differing leaf patterns they found. 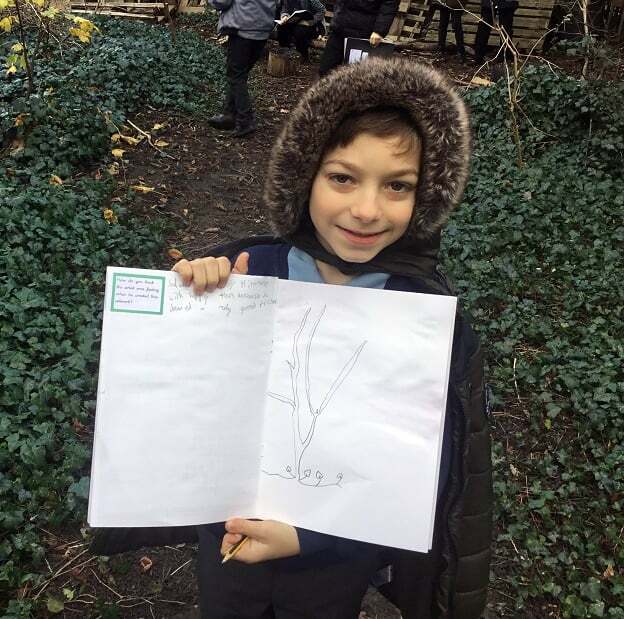 They also enjoyed making bark rubbings from tree trunks. 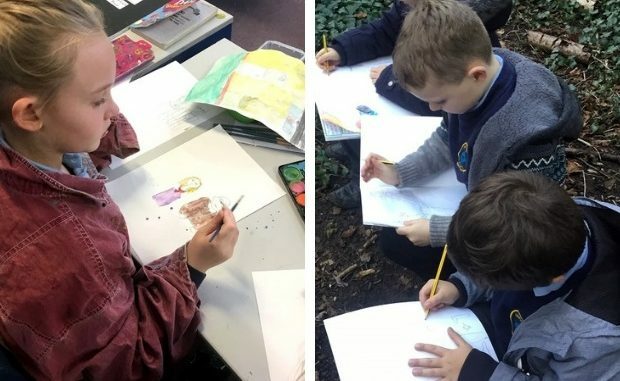 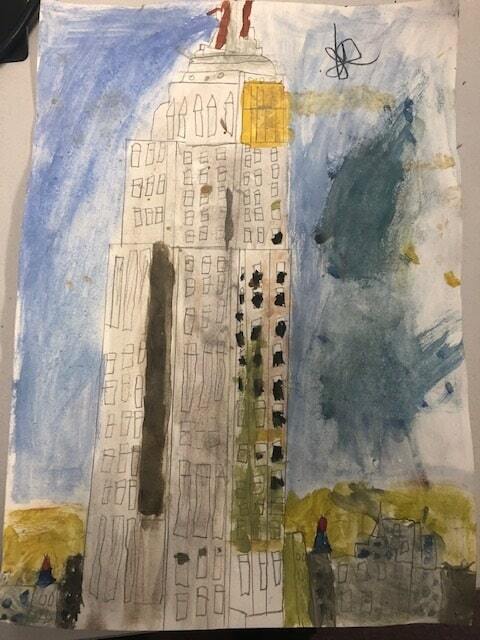 Teacher Charles Searle said: “Once we were back at school from our sketching, the children used all of the painting skills that they had learnt in the morning and applied them to their tree sketches. 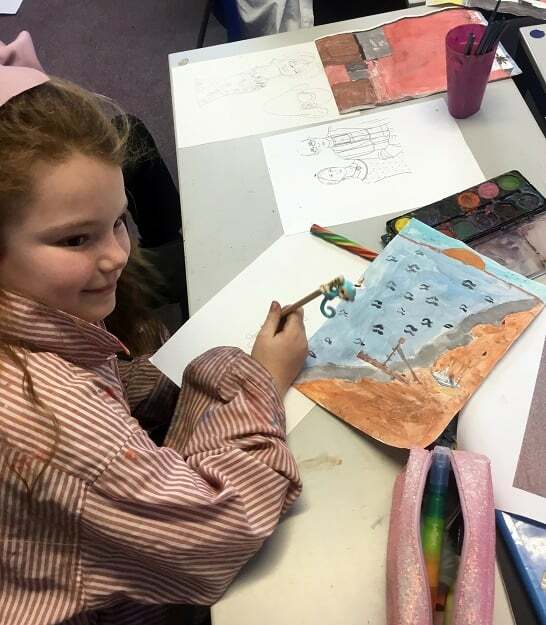 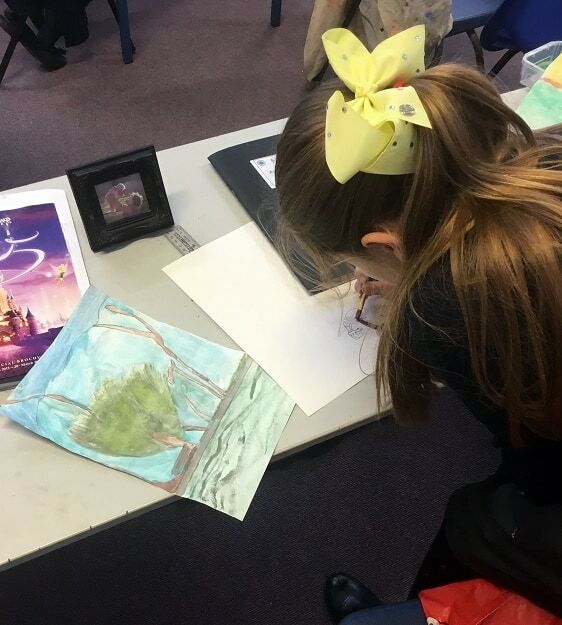 Head Teacher Cliff Stokes said: “There is an interesting range of creative talent at Newington and our artists always produce vibrant and thought-provoking work.